Your access to and use of Grappenhall Community Library ("the Website") is subject exclusively to these Terms and Conditions. You will not use the Website for any purpose that is unlawful or prohibited by these Terms and Conditions. By using the Website you are fully accepting the terms, conditions and disclaimers contained in this notice. If you do not accept these Terms and Conditions you must immediately stop using the Website. 5.1 All copyright, trade marks and all other intellectual property rights in the Website and its content (including without limitation the Website design, text, graphics and all software and source codes connected with the Website) are owned by or licensed to Grappenhall Community Library or otherwise used by Grappenhall Community Library as permitted by law. 6.2 To the extent permitted by law, Grappenhall Community Library will not be liable for any indirect or consequential loss or damage whatever (including without limitation loss of business, opportunity, data, profits) arising out of or in connection with the use of the Website. 6.3 Grappenhall Community Library makes no warranty that the functionality of the Website will be uninterrupted or error free, that defects will be corrected or that the Website or the server that makes it available are free of viruses or anything else which may be harmful or destructive. 6.4 Nothing in these Terms and Conditions shall be construed so as to exclude or limit the liability of Grappenhall Community Library for death or personal injury as a result of the negligence of Grappenhall Community Library or that of its employees or agents. You agree to indemnify and hold Grappenhall Community Library and its employees and agents harmless from and against all liabilities, legal fees, damages, losses, costs and other expenses in relation to any claims or actions brought against Grappenhall Community Library arising out of any breach by you of these Terms and Conditions or other liabilities arising out of your use of this Website. Users contacting this website and/or it's owners do so at their own discretion and provide any such personal details requested at their own risk. Your personal information is kept private and stored securely until a time it is no longer required or has no use, as detailed in the Data Protection Act1998. Every effort has been made to ensure a safe and secure form to email submission process but advise users using such form to email processes that they do so at their own risk. This website and it's owners use any information submitted to provide you with further information about the products / services they offer or to assist you in answering any questions or queries you may have submitted. This includes using your details to subscribe you to any email newsletter program the website operates. To unsubcribe, contact us at any time and our administrator will be pleased to remove emails within a reasonible period. Your details are not passed on to any third parties. 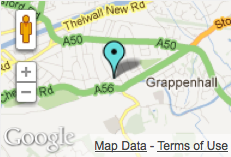 Friends of Grappenhall Library Board of Trustees is the data controller. This means the Friends of Grappenhall Library Board of Trustees decides how your personal data is processed and for what purposes. Friends of Grappenhall Library Board of Trustees complies with its obligations under the GDPR by keeping personal data up to date; by storing and destroying it securely; by not collecting or retaining excessive amounts of data; by protecting personal data from loss, misuse, unauthorised access and disclosure and by ensuring that appropriate technical measures are in place to protect personal data. • To inform you of news, events, activities and services running at Grappenhall Community Library. • Explicit consent of the data subject so that we can keep you informed about news, events, activities. 5. Sharing your personal data Your personal data will be treated as strictly confidential and will only be shared with other members of the Library in order to inform you of news, events and other activities at the library only. We will not share your data with third parties outside the library without your consent. Specifically, we retain personal data for as long as it is required for the purpose it was collected. • The right to request that the data controller provide the data subject with his/her personal data. Water Lane, Wilmslow, Cheshire. SK9 5AF.